Powhatan was the name of both a powerful Native American chief (king) and the confederacy he ruled at the time of the arrival of English Colonists in Virginia in 1607. 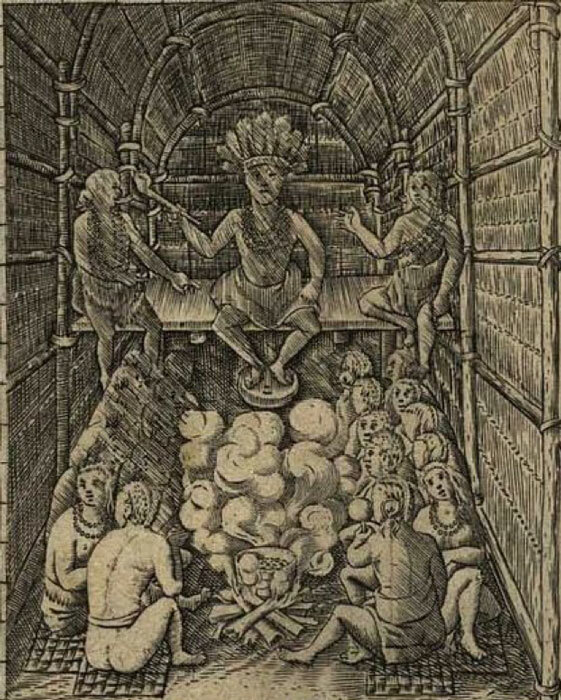 Powhatan reigned over several thousand people who initially helped the English survive, especially during the harsh winter weather when food was scarce. Chief Powhatan, whose name more properly was Wahunsenacawh (or a variation thereof), was born around 1545 and died in 1618. The Powhatan Confederacy got its name from him. Powhatan ruled a federation of about 30 Algonquian-speaking tribes throughout an area of approximately 6,000 square miles (15,540 square km). Powhatan people grew corn, beans and squash, the ‘Three Sisters’ that grew in symbiosis. The bean vines grew on the corn stalks and the low-growing squash controlled the weeds. They also grew other vegetables. The men hunted and fished, and the women farmed and gathered wild plant foods. The women also made clothing from animal skins, says HistoryIsFun.org. The Powhatan made their homes out of sapling frames covered with reed mats or tree bark. They made their tools from stone, bones, and wood and later obtained firearms and other metal implements from the English. The Powhatan confederacy was at peace with the English at first, then they clashed with them. There was peace following Powhatan’s daughter Pocahontas’ marriage to a colonist, but war would break out again, leading to a period of intermittent fighting until 1676. Powhatan was a powerful chief, according to Biography.com . He ruled about six tribes, including: his own Powhatan, the Pamunkey, Arrohateck, Appamattuck, Youghtanund, and Mattaponi. Through both war and alliances he came to rule about 30 tribes, each with its own chief called a werowance. These sub-chiefs answered to Powhatan, paid him tribute, and their men fought alongside his warriors when necessary. It is unknown when Powhatan became king, but he was in charge when the colonists arrived in April 1607. He sent an ambassador to seek peace and helped the newcomers with food after the harvest. Without that help it is questionable whether the English colony would have survived. 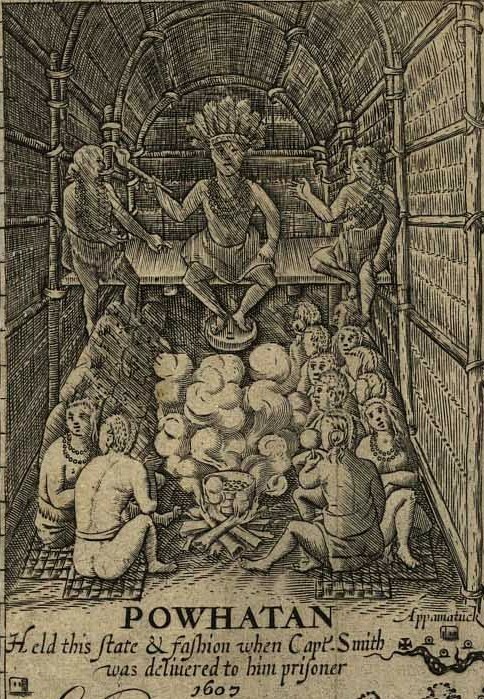 In the winter of 1607, the Indians captured English Captain John Smith and brought him before Powhatan in his capital of Werowocomoco, where they kept him over the winter. He later wrote that Pocahontas saved his life, though Biography says this may be an exaggeration. 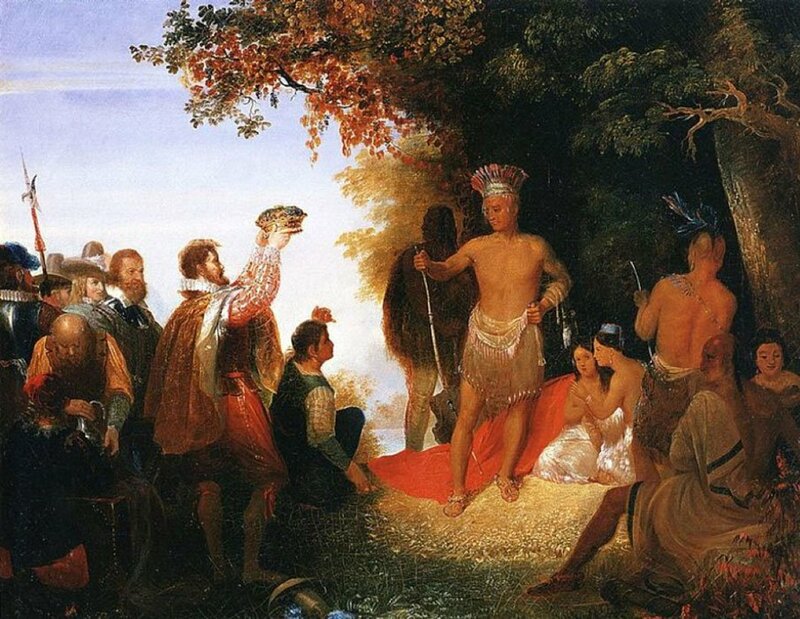 Powhatan released Smith the next year but he returned seeking food and help for his people. Powhatan agreed to give food in exchange for weapons to fight his enemies but the colonists continued to encroach on native territory, aggravating the two sides’ differences. Powhatan moved to a new village and made it his capital to distance himself from the English, who wanted to make him a subject of the English king. Powhatan then cut trade ties and ordered all who left the Jamestown fort would be attacked by Indian warriors. The settlers were in difficult straits until new supplies and leadership arrived from England in the summer of 1610. With reinforcements the English began to attack the tribes. Colonists captured Pocahontas in 1613 or 1614 (accounts vary). She lived among the English, who demanded a return of their people captured in raids. Powhatan did return some colonists, but he did not comply with a return of the weapons the Indians had stolen, so Pocahontas remained a captive. Not long after her capture she became a Christian and married colonist John Rolfe. Powhatan was an impressive ruler who had amassed a great deal of power and influence before the arrival of the Jamestown colonists upended his way of life. He ably countered their actions, but numbers and weaponry were not on Powhatan's side for long. In March 1617, just as they were about to return, Pocahontas died. John Rolfe returned to Virginia, having been appointed secretary of the colony. Thomas returned to Virginia in the 1630s, but by then his father and Powhatan were both dead. 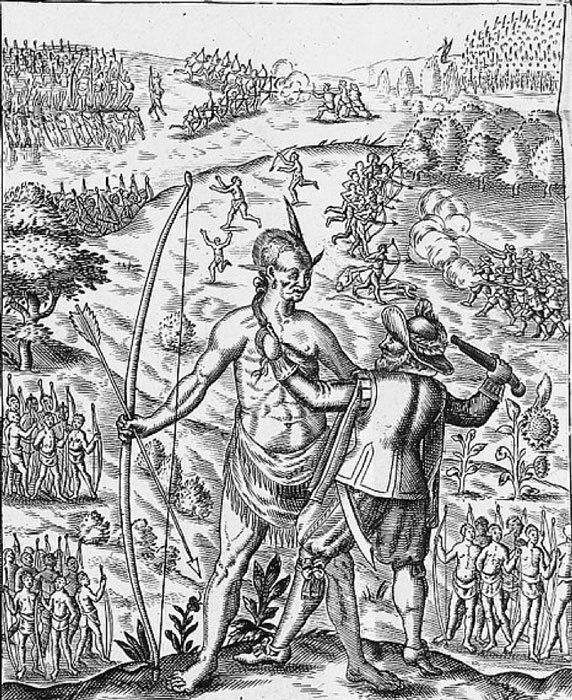 The truce had been broken since 1622, when Pocahontas’ uncle, Opechancanough, led a bloody uprising. There are now an estimated 2,000 Powhatan Indians.